Patrons at Pieces, a gay bar in New York, got quite a treat when singer Adele and Jennifer Lawrence appeared in the crowd on March 22. 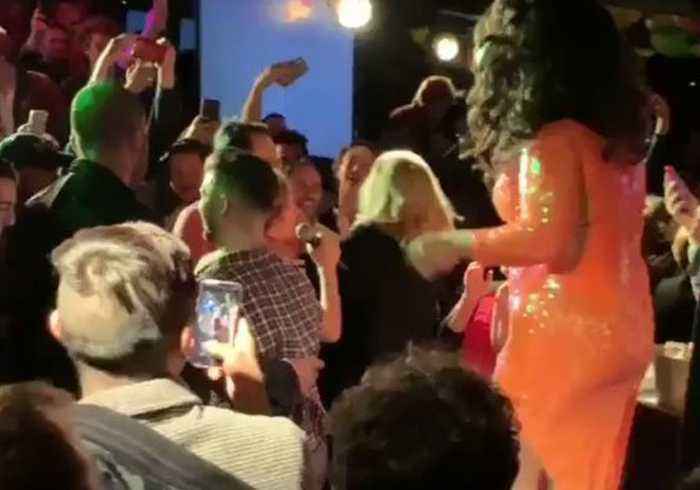 The British singer was seen onstage at the LGBT bar participating in a game during a drag show. Twitter user @JoeMichaelII shared footage of the pals at the end of the game which Adele apparently lost. Lawrence is seen condemning Adele asking “How could you lose?” As of writing, the footage has over one million views on Twitter. Jennifer Lawrence and Adele strolled into the popular NYC gay bar Pieces around 11 p.m. The crowd went wild when the Grammy winner was asked her name and she said simply, "Hi, my name is Adele." She..
Adele and Jennifer Lawrence surprised fans on Friday night by partying with them at a popular gay bar in New York City called Pieces. Huff Post reports the two celebrity friends caused a commotion when.. According to Business Insider, besties Adele and Jennifer Lawrence got their party on at a New York gay bar on Friday night.